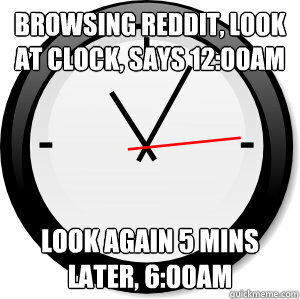 Reddit isn’t for everybody – and that may be an understatement. The Reddit culture is challenging if you don’t have a thick skin or you have a low tolerance for profanity and misogyny. Redditors are a tough crowd quick to vote you down or blast you in the comments. They often delight in banning you for the tiniest infraction of obscure rules – expecting you to be able to read their minds and know what they meant and how to conform there from your first plunge into the darkness that is Reddit. of the Reddit pool and left in search of calmer seas. In Reddit Bermuda Triangle there are two different types of RedditGators waiting to prey on you: Redditors and Reddit bots. Read on to find out how to best navigate so that you have a better chance of surviving there. Feel free to post links to your own content (within reason). But if that’s all you ever post, and it always seems to get voted down, take a good hard look in the mirror — you just might be a spammer. A widely-used rule-of-thumb is the 10:1 ratio, i.e. only 10% of your submissions should be your own content. Some who have been banned claim they only shared ONCE and were banned for it – so share content you wrote or on a blog you’re associated with at your own risk. No matter how badly you want to know, DO NOT ask why you are being downvoted. 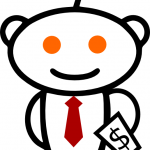 Bots don’t answer that question I suspect almost all newbies want to ask – and neither will most Redditors. REDDIT QUIRK: When sharing you either post a link OR start a discussion. You can’t add text in with your link EXCEPT for the title. TITLE choice is critical to getting votes and attention. Study titles on submissions that went hot to get ideas for your own. Redditors are NOT blogger fans and most of us are fortunate if we aren’t already banned there! before going for a swim ~ and wear your thickest skin. “Reddit is certainly a tougher crowd than Digg ever was. Success on Reddit really depends on your niche, how you present your post, and a little bit of great timing. When pitching to Reddit, remember that you are dealing with one of the toughest crowds on the net. Your post might get a few nasty comments, it may even totally flop the first time around. 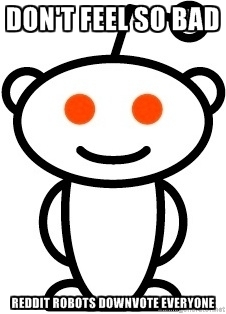 If, however, you follow the advice above and really start to understand what Redditors are looking for (something that is insanely informative or entertaining), you can reach the front page of a bigger subreddit. 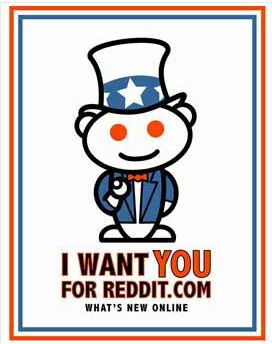 So your challenge, should you choose to accept it, is to figure out how what you create that is insanely informative or entertaining can get onto Reddit without you sharing – or even voting on it – yourself. 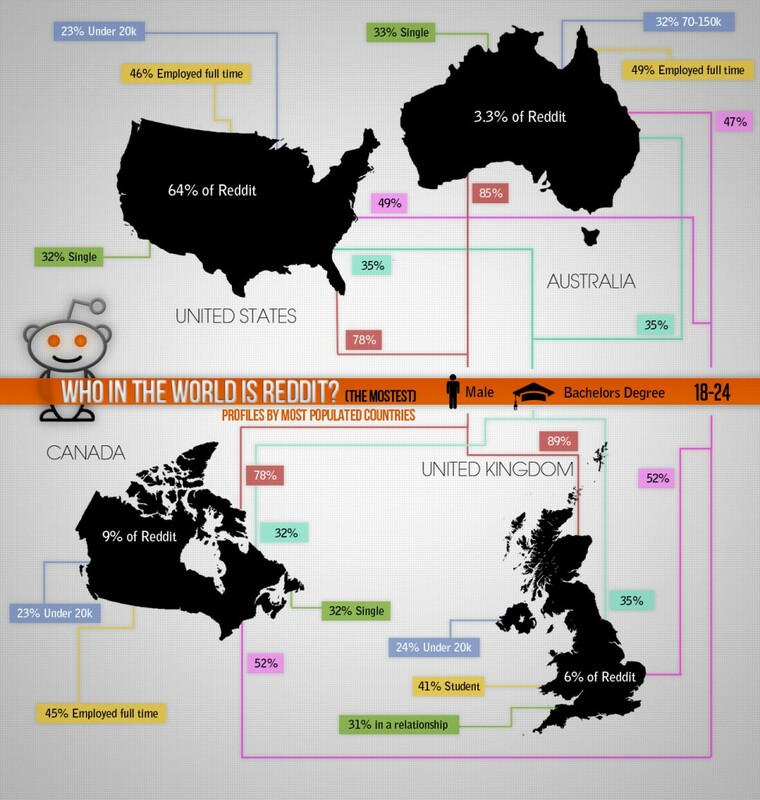 That Soshable Reddit Demographic Stats Infographic sheds light on what kind of people are on Reddit – but now why they vote the way they do. 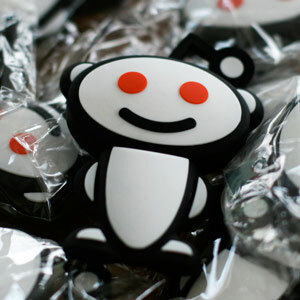 “Reddit as a website is probably the best for getting content from the internet. However, as a community, Reddit is terrible. 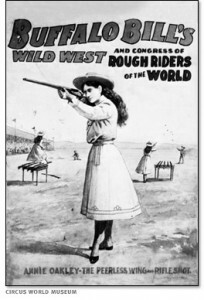 Reddit is a reflection of the physical world – a patriarchal, misogynistic men’s club – and proud of it – where the only women who fit in either join them in their derision of others or – ala Annie Oakley, Calamity Jane, or Mae West – rise above it to either ignore or toy with them. Unwritten Reddit rule #1: Downvotes are downvotes. Just get over them. They’re meaningless in the grand scheme of things. Asking … about them is most often a waste of your time and bandwidth, and considered by many to be in bad form. Just like those who mis-use the vote. a vote would mean – but votes on comments DO NOT. “Once registered, you can vote all links on reddit up or down based on whether you liked or disliked them. If more people like a link than dislike it, it will rise up the hot page and be seen by more users. Upon voting, the highlighted score will have changed +1 or -1 depending on your vote up or down, respectively. Regardless of individual karmas, all votes affect submission scores equally. As a general rule, vote up what you liked (and want to see more of) and vote down what you disliked (and don’t want to see similar things in the future) — there’s really not much else to it. While the same rules generally apply to voting on the comments of others, reddiquette states that downvotes should be used for irrelevant comments, not ideas you disagree with. Also, don’t be afraid to upvote a comment you disagree with if you think it is furthering the discussion. This will result in the most interesting and relevant discussions moving to the top of the comment page. I noticed something interesting on Reddit. If you refresh a page the votes change with each refresh. Knowing that it is not people voting you down should provide some small comfort. That led me to find this Reddit FAQ on How is a submission’s score determined? So why do people keep trying? For the traffic – which can be enormous IF you can get past the Reddigaters – and the brilliant discussions to be had once you find a sub-reddit among the 1000s where you can shine. Reddit is like a call in radio show with random callers. You never know who will comment or what they will say, so be prepared for anything and don’t stress out when the comments are totally different than what you expected. You will be reminded of how very different the Reddit audience is on a regular basis. What is really weird dessert to you may be totally commonplace for the international crowd that inhabits Reddit. 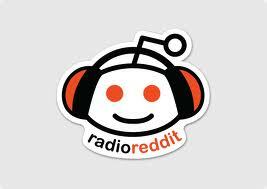 Did you know Reddit has live radio? Visit RadioReddit to listen in. are thousands of them!) and post a few links and/or comments. Over time your front page will consist only of choice subreddits that you desire as you fine-tune your preferences. Some people stay out of default (huge) subreddits altogether while others (like myself) use them a lot – peppered with a selection of small to medium size subreddits for certain interests e.g. civil liberties, data privacy, privacy, IP etc. karma – you will need the large subreddits. But be forewarned that in these large subreddits the wide variety of subjects and the large audience will mean that someone somewhere will troll and upset you. That’s the Internet for you. subreddits for comments first and build up some experience. It’s better to have a mix of subreddits on your front-page so you get a wider span of topics to choose from since the news can come in quite fast and disappear within a day before resurfacing a day or two later in some specialised subreddit where the audience’s composition is a lot different. But that is ok since some media do better research than others so posting similar news item of interest from reputable sources is a good thing. Find the sub-reddits (/r/stuff, /r/this, /r/that, etc) where you feel at home and become known there. WHAT CONTENT WORKS BEST ON REDDIT? Remember that Gregory Chiotti said, “Redditors are looking for (something that is insanely informative or entertaining)”? BUT – and this is a BIG BUT – consider the audience there. Your “insanely informative” entertaining content needs to be 30 seconds long and appropriate for people who think like tweenage boys stuck in puberty – or raunchy, violent or perverted if you can swing that way. Unless you become accepted in an intellectual Sub-Reddit of people who agree with you, your content will need to appeal to the masses – the lowest common denominator. You could start your own, but if you want to drive traffic you have to be where the RedditGators are. 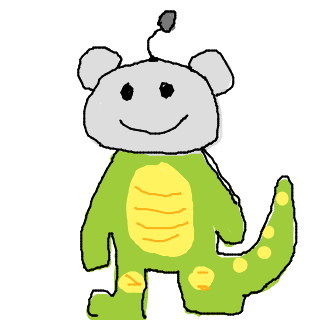 In other words, a really short post featuring a 30 second animated cartoon video and a cartoon image of the RedditGator would have a much better chance of getting to the first page of Reddit than a comprehensive post like this one. Reddit apparently only wants verified members to be able to buy ads on Reddit because you can’t get to the page to buy them without verifying your email address? You can’t search their blog because they haven’t provided a search box and they don’t rank for any phrase I’ve tried to get to any other page about how to advertise on Reddit. Finally found it: To buy advertising on Reddit go to Reddit Advertising! Did you know there is a permanent RedditGifts section made famous by having the Reddit Secret Santa listed in the Guinness Book of World Records for the Largest Secret Santa Game. 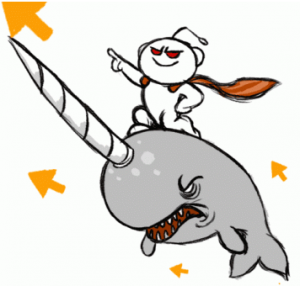 Reddit has a love-hate relationship with those who venture into those Redditgator infested waters. One share and you could be swallowed alive and spit out on a deserted island – never to see the shores of Reddit as your favorite username again. 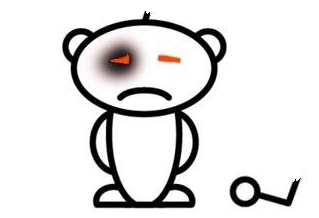 What especially outrages banned would-be Redditors is how Reddit wasted their time because they thought they were sharing – but later figured out they were actually GHOST BANNED FROM REDDIT. hides everything you do from anyone but you. “Ever posted a couple of links on Reddit and then got that “come back in a hour” message? So, you come back in an hour and it says the same thing? 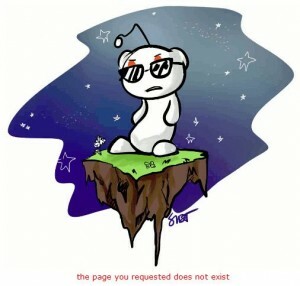 Under the image is the text “the page you requested does not exist”. If you know you’ve been banned at least you won’t waste your time. “Because all their posts get downvoted” has to be #1. Downvotes and being flamed are of course other big reasons and “downvoted to hell” is a common expression. Being banned is the other major issue – and Reddit has no sympathy at all. So if you have a username you’re very fond of you may not want to use it on Reddit until you think you have the hang of it lest it be banned forever from a mistake you make – or for no reason at all. appeals process for ban reconsideration. There is no shortage of posts and forum threads with debates raging between those who love Reddit and those who hate it. MineCraftForum: Why Do People Hate Reddit So Much? What Will Trend in 2016? As a Redditor I would like to point out that the 10% “own content” rule would be a 9:1 ratio (90%:10%). That is a direct quote off the Reddit site so we need to get them to correct theirs, too. Lengthy post without any reason i think you can define this in short summary but still i suggest this post to the geeks who are looking for reddit Guide Book .. There is actually more we need to know than what is in this post alone – such as how to find the best sub-reddits. I use the posts I write for future reference, so anything I left out of this I would not be able to use to refresh my memory if I don’t use Reddit for a while. Those who only read a summary may miss important points that end up getting them permanently banned. Personally, although I have had some excellent discussions on Reddit, unless someone has a really thick skin and ignores all the downvotes they are going to get that is not really the place for them. Quora is far more professional and respectful and Pinterest can be a lovely place to spend your time instead. I noticed some good traffic coming from Reddit and planning to use it even more. Great write up too! I’ve decided to boycott Reddit; their culture represents the bottom of the barrel of our society. Heh, nice one ! I recently launched a website called Reddit Secrets (www.redditsecrets.com) which is exactly about various tips, tricks and tutorials in general. I also wrote an article on How to Use Reddit few weeks ago ! I never used reddit but will surely try them out. Hiya, I’m really glad I’ve found this information. Nowadays bloggers publish only about gossips and net and this is actually frustrating. A good web site with interesting content, that’s what I need. Thanks for keeping this web-site, I will be visiting it. Do you do newsletters? Can’t find it. Great post, I think you covered everything all the basic parts about posting to Reddit. I just don’t get why people don’t try to use Reddit more, I’ve asked hundreds of people and 50% of them have never even heard of the website! I guess the less people do Reddit marketing, the better it will be for us who do. Yeah I agree with all the points in this post, a couple of weeks ago I wrote an article that outlined the pros and cons with social media these days, and why Reddit blows them all out of the water. Hello there. I’m afraid the answer to that question is more than one comment. However, we have several helpful categories on this blog and I know that there are articles that cover topics related to what you are asking. Please feel free to navigate through the site and read at your leisure.